James Gunn shares info regarding Guardians of the Galaxy. Adam Warlock? The Badoon? Starfox??? Ok, so the folks over at Pointless Podcast sat down with James Gunn, the director of Marvel’s first cosmic film, this summer’s GUARDIANS OF THE GALAXY for a long, hour and fifteen minute interview and while the full interview will not drop until next Monday, February 24th, we do get a quick 5 minute tease of the interview and already, we learn quite a bit of information about the film as well as some interesting sidesteps. First off, Gunn confirms that we will soon hear Rocket Raccoon’s voice, done by Bradley Cooper, with a nudge nudge wink wink to keep paying attention to his own Instagram account. Second, he does confirm that we will see a new trailer in a few months, one that he says is his favorite trailer over the one just released on Tuesday. In this trailer we will see more of Ronan the Accuser (Lee Pace) who had a quick “blink and you will miss it” scene in the teaser holding up Drax the Destroyer (Dave Bautista) by the neck, as well as absent cast members like Michael Rooker (Yondu) and Glenn Close (Nova Prime). This teaser was meant to focus on Star-Lord, but the full trailer will give us proper introductions to everyone. Sadly, Starfox will not be making an appearance in the film… nor will an Avenger join the group, well, at least not yet…. – Are Adam Warlock and Captain Mar-Vell in the film? We will just have to wait and see. (Not a denial…. – Is that another Infinity Stone we see in the film, perhaps the Reality Gem? Again, we will just have to wait and see. Yeah, we all KNOW it is an Infinity Stone, but they are still playing it close to the chest. – Sean Gunn’s role in the film has not been identified, but it is known and confirmed with this interview, that he did fill in on set for the likes of Rocket so the cast would not have to interact with a tennis ball. What are your thoughts on the bit of info we just learned? Let us know in the comments below. How excited are you for this movie to hit? GUARDIANS OF THE GALAXY is directed by James Gunn and stars Chris Pratt, Zoe Saldana, Dave Bautista, Lee Pace, Michael Rooker, Karen Gillan, Djimon Hounsou, Benicio del Toro, John C. Reilly, Glenn Close, Gregg Henry, Bradley Cooper and Vin Diesel. 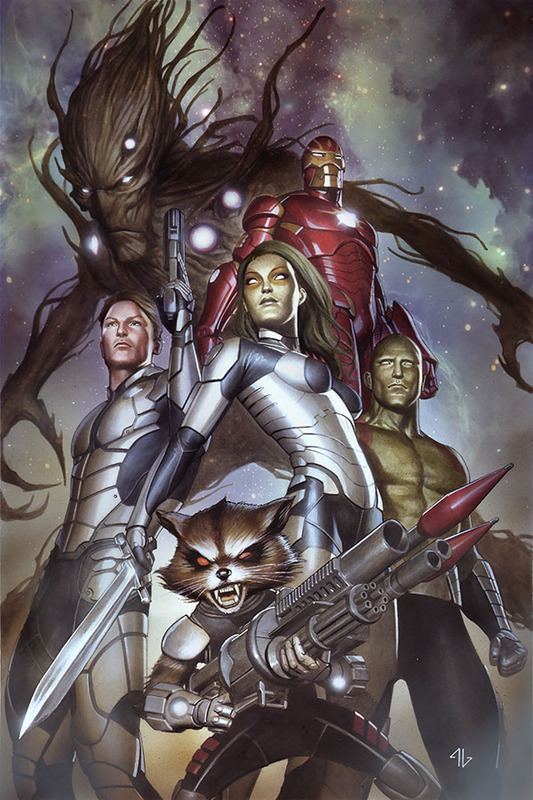 SYNOPSIS: [The Guardians’] stories converge in the space prison Kyln. After the characters break out, they venture to Knowhere (the severed head of a celestial being that serves as a hangout for aliens) and visit the weird menagerie of the Collector (Benicio Del Toro). They also have to avoid two villains, Ronan (Lee Pace) and Nebula (Karen Gillan), who are in hot pursuit of Quill’s orb, which has the power to destroy the galaxy. 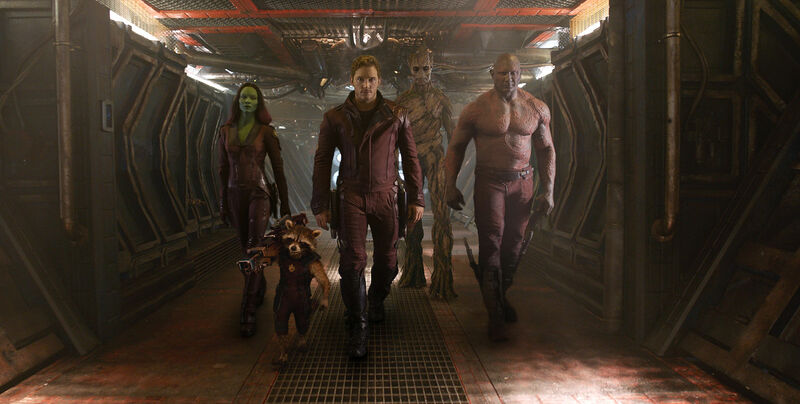 GUARDIANS OF THE GALAXY is set to hit theaters on August 1, 2014.